To put it simply: It is the world’s largest surf demo featuring free trials from the world’s best surf brands. 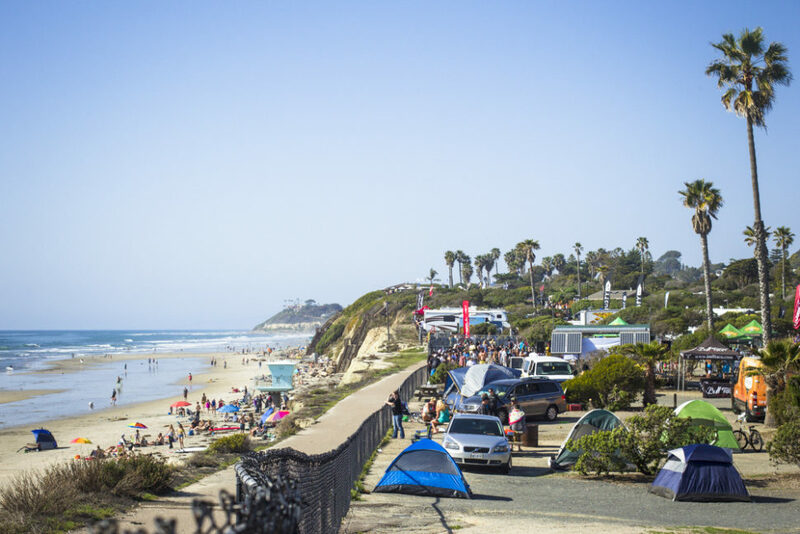 It is March 11-12, 2017 at San Elijo Campgrounds in Cardiff by the Sea, CA. There’s free live music and a beer garden. Complexly: It is choosing from a handful of different playful reefbreaks in the flexibility of a brand new wetsuit. It is sunshine and the scent of sunscreen. It’s a bucket hat and your second-favorite pair of sunglasses. It is a dirty T-shirt and even dirtier boardshorts. It is cold beer, a warm campfire. It is meeting your next new surfboard and maybe a spouse? Who knows! It is the sound of mischief from a small group of children having the best weekend ever and it is a musician strumming and a dog barking and really, just be there.